1. Lentil salad with roast butternut squash, blue cheese, cranberries and chestnuts. I made this to use up some leftovers: roast squash, a piece of Yorkshire blue cheese, and half a pack of cooked chestnuts. It was definitely better than the sum of its parts. I cooked lentils in chicken stock with some thyme, then stirred in the roast squash, some dried cranberries which I'd soaked in hot water, sliced chestnuts, and some lemon thyme leaves. I crumbled over some blue cheese, and had a delicious earthy autumn feast. It also works very well with feta, which I tried the next day. In fact, I think I prefer the feta version, but the only photo I got was the blue cheese one. This is possibly the most festive, yet healthy, dish you will find. Plus, isn't it pretty? 2. Lakeland St Kew Teacup hamper. I was very kindly sent this adorable hamper by Lakeland recently, and I just had to write about it. Largely because it comes in a wicker basket shaped like a teacup, which I think is a fantastic idea. I'm planning to keep fruit in it once I've worked my way through the hamper ingredients - it looks lovely on my kitchen worktop - although Lakeland also suggest lining it and using it for planting herbs, which I think might be the quaintest idea ever for a herb garden. If only we could grow tea in this country, I would use it for that. There's always something special about a hamper, and this is a really good size if you don't want to confer on someone a gigantic wicker box that's too heavy to do anything but gather dust in the attic. It's neat and a refreshing change from your standard hampers full of cheese and chutney that no one will ever eat (I have a special cupboard in my kitchen reserved just for unwanted jars of chutney - it's not that I don't like it, but I don't eat it nearly often enough to necessitate several jars every December). St Kew make biscuits, preserves and confectionery to traditional, old-fashioned recipes, and this little hamper contains two packets of biscuits, some strawberry and champagne conserve, and English breakfast tea. My favourite biscuits were the 'fabulous oatie flips' which, despite their rather quirky name, are a gorgeous cross between a hobnob and shortbread. Essentially, they taste like a vanilla-y crumble topping, and I devoured them at an indecently fast rate. Despite their inclusion in a hamper alongside tea, I would not recommend dunking them in your tea unless you want to lose all that buttery crumblyness to the bottom of your cup. Eat them on their own, and I defy you to stop at just one (okay, five). The strawberries and cream shortbread is also delicious; rich and buttery with the sweet tang of strawberry pieces. It's an idea I've never come across before and rather like. This would make a great gift for lovers of afternoon tea, although one thing is sadly lacking from it: freshly baked, oven-warm scones on which to slather the delicious strawberry and champagne conserve while sipping a cup of St Kew English breakfast tea. I suppose you can't really be over-critical, though - it does come in an excellent basket, after all. 3. My new bowl. It may seem a bit odd to be telling you I bought a new bowl, but this is much more than a bowl. This is about what the bowl stands for. I found it in the oriental supermarket just down the road from my new house. With one glimpse I was back in Vietnam, hunched over a table barely a foot from the ground, wedged into a tiny plastic chair more suited for children, with beads of sweat on my skin and condensation dripping from my forehead from the steaming bowl of noodle broth in front of me. The air was rent by the droning of motorbikes and sticky with September humidity, while the aromas of sizzling meat and fish wafted past enticingly to the background music of multiple blenders whizzing up condensed milk and fresh mango smoothies. Although the bowl I purchased was (obviously) empty, I could practically see the golden, crystal-clear broth with its scattering of vivid green herbs and tangle of chewy, slippery rice noodles. I ate out of several bowls just like this on my travels this summer. While I am very happy in my new life up north in the UK, not a day goes by where I don't yearn to be in south east Asia again, or feel painfully nostalgic for those beautiful, beautiful four weeks. It may sound stupid, but every time I sit on the sofa with this bowl full of rice and a pair of chopsticks (purchased in Saigon) in my hand, it eases the pain just a little. 4. Sea Island Coffee. I'm not a coffee connoisseur, but I really like this coffee from Knightsbridge-based Sea Island Coffee, which they very kindly sent me to try. This may be because it's Jamaica Blue Mountain coffee which even I, a die-hard tea drinker, know is one of the best in the world. I remember a friend of mine once bought me a bag of this exclusive, almost mythical substance for Christmas in my first year of university, back when I loved the stuff and before I converted to Yorkshire tea. It was possibly the most exciting present I received that year, and I treasured it, saving it for 'special' coffee occasions only. Needless to say, it was never shared with anyone else. According to the website, this coffee has notes of dark chocolate and floral undertones. I'm not entirely sure I detected those, but it does have a delicious full, almost creamy, flavour, with a slightly sweet aftertaste. Grown on the Clifton Mount Estate in Jamaica, which has fertile soil, regular rainfall and cloud cover from the mountains, this coffee (mostly the Arabica Typica bean) thrives and consequently has such a sought-after flavour and aroma; it's often labelled as the champagne of coffees. It's not cheap, at £14.99 for a tin, but it would be a great present for the coffee-lover in your life (or for yourself, when you're having one of those days). It also won a Gold Taste award in both 2010 and 2012, which can't be a bad thing. 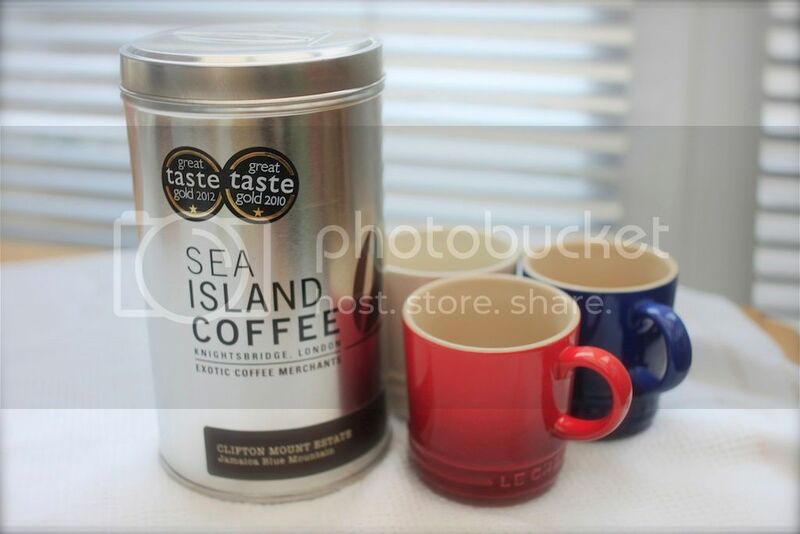 Sea Island also sell numerous other types of coffee; for more information, and to read a bit about the estates behind the coffee, visit their website here. I'll be hoarding this precious tin for as long as I possibly can. It goes without saying that if you come round for coffee, you're probably just getting the normal stuff while this sits ensconced at the back of my cupboard. Sorry. 5. 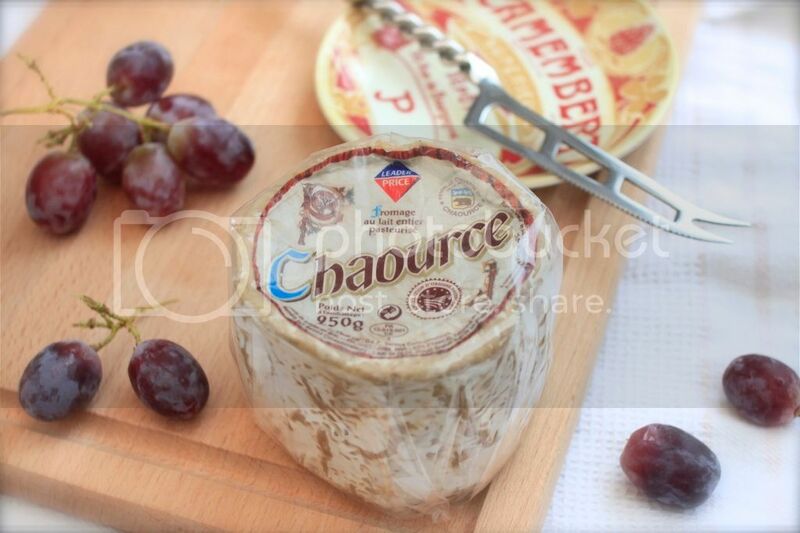 Chaource cheese. If you're an avid reader of this blog (and if not, why not? ), you may remember I wrote about my wonderful trip to Chablis last April. Although my tastebuds were extremely well looked after the entire time, and I enriched my life with the second-best tarte tatin I've ever eaten, one of the real highlights was the cheese course in a little rustic restaurant on the first night. Here I was introduced to Chaource, a typical cheese of the region. It looks rather like a goat's cheese, with a white rind and a sticky creamy texture around the outside that turns almost crumbly in the middle. It also has the tang of a goat's cheese, but with the buttery texture of a Brie or Camembert - the best of both worlds. One of my mum's colleagues went to Chablis recently, and was lovely enough to bring me back a Chaource of my very own. It's delicious, and I can't wait to try it in a recipe or two - I think it would work very well with caramelised pears, or some dried fruit. If you can get your hands on this cheese - I reckon most good cheese shops would stock it or order it for you - then I'd heartily recommend it.